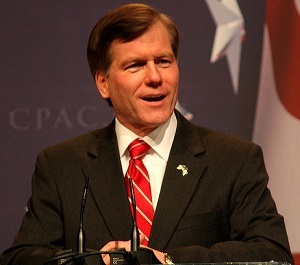 The Justice Department on September 8 announced that it is dropping its corruption case against former Virginia Governor Bob McDonnell and his wife, Maureen. Earlier this year, the US Supreme Court decided to throw out McDonnell’s conviction on the grounds that jurors had been provided an erroneous definition of “official act.” The Court’s unanimous decision made a re-trial unlikely; it also highlighted why states need strong ethics rules. As we have argued here and here, the case against McDonnell would have been much more straightforward if Virginia had put strict gift rules into place years ago. Whenever individuals or organizations give gifts to elected officials, we should ask why. This is especially important when the gift is of significant value and the giver may have interests before the state. If a public official accepts a gift, he or she should publicly disclose the gift in a timely manner. Where the law does not require disclosure, public officials have a choice. As we have previously discussed, elected officials can — and in some states, absolutely should — go beyond what is required by the law and voluntarily disclose. Newman’s policy is a smart one, considering the troublesome loopholes contained in Virginia’s ethics rules. The state, for example, exempts gifts from “personal friends” and lets lawmakers decide whether the lobbyist who bought them a lavish meal (or, in McDonnell’s case, a Rolex watch) is a personal friend or lobbyist. While the McDonnell saga has ended, pay-to-play politics unfortunately lives on in state houses throughout the country. Scandal has a way of prompting reform. We hope that the McDonnell case makes clear the urgent need for states to strengthen their ethics laws and eliminate the loopholes that encourage lawmakers to disclose less, rather than more. This blog was co-authored by Marian Currinder, Policy Director for the government accountability portfolio at Transparency International-USA.